Don’t even get me started on the packaging! Love the psychedelic pink and golden print, and how the compact box just spills open to secret inner stashes! Although many makeup brands (including Tarte) have been guilty of going stingy with the quality of holiday packages, the Tarte Treasure Box is refreshingly different. First off, unlike many other Tarte limited editions that are made in China, this gorgeous ‘treasure’ comes from the United States and the quality speaks for itself. The Amazonian clay, now a signature at Tarte, has this beautifully sweet, earthy scent I wish they’d bottle up and sell. All the products in this palette are very pigmented, and my favorite is the Kitten eye-liner which glides on smoothly and delivers a deep, dark black in one quick sweep. I also never thought I could carry off a baby pink lippie till I tried the miniature here. It comes on pretty bold, and dries into a very universally flattering dusky pink. I can’t seem to find what this shade is called. Perhaps its a limited edition with this palette. I really would like a full-sized version. If there’s one product in this palette that isn’t quite there for me, it would have to be the highlighter. The pale gold is a little too pale for my liking given its a festive palette. Eyes: On my eyebrows I used the eye-shadow shade Wayfarer. On my lids I am wearing Artisan with a corner-sweep of Lantern. On the crease, I blended in Adventure. I lined my eyes with the Kitten eye-liner and finished off with two coats of mascara. Cheeks & Contour: I used the darker pink for blush, and a mix of both bronzers across my cheekbones. Highlighter: I used the highlighter on the tips of my cheekbones, on my T-zone, and added a dab on my chin. Lipstick: The color is so pigmented despite being pink! I only needed one coat. Overall, I am absolutely in love with the Tarte Treasure Box! Given the number of eye-shadows here, it can easily take you from a dainty day look to a sultry, smokey eye for a night out. The quality of the products is in par with full-sized Tarte Amazonian goodies, it smells amazing and looks even better! Given the compact packaging, it would be very convenient for travel, and looks great in my makeup stash pile too. The Tarte Treasure Box can be bought at leading Sephora stores across the UAE, and retails for AED 295. 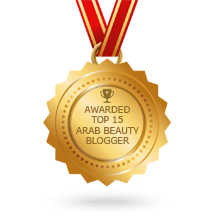 Posted in #motd, Beauty, Product Reviews and tagged Beauty, dubai, Makeup Tips, Makeup Tutorial, sephora, Sephora Middle East, Tarte Cosmetics, tarte treasure box. Bookmark the permalink. This looks amazing 🙂 Thanks for sharing!